Life is busy and time is limited, but change has to happen. Senior Move Success can help you complete the tasks in your life as they relate to the move a senior you love is about to make. Has the senior in your life been living with you, and is now moving out? Separating from a loved one can be tough. 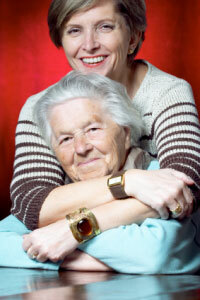 Senior Move Success offers support to you, as well as to your loved one. We can provide you with helpful resources geared toward making this transition a positive experience for all of you. Will the senior in your life be at ease? All concerns that you have will be checked by staff members at Senior Move Success. We leave no concern without a resolution. When you’re confident and feeling good about the transition, then so are we. What if you can’t be there for the transition? That’s okay! We are here to address your needs, as well as those of the senior you love. If you want to be informed every step of the way, as if you were right there, then we can do that. We work with you, as well as for you. How do you know the senior you love is in good hands? Our staff is educated and trained in finding the professional tools needed to make this transition easy. All steps of the process are worked out and carried through with you and/or the senior you love at our side. We want to make the move happen while considering your wants, needs and capabilities. Senior Move Success is inspired by a love of people and keeping them happy through an otherwise difficult transition. Senior Move Success is here to work for you and with you. Call (410) 323-3853, or e-mail us today to get started.